From now to May 24, 2018, when you purchase UA miles, you could receive a bonus of up to 100% more. Just click the above link "Reveal my offer", log into your UA account and unwrap your own mystery offer. You can discover your special bonus when you click through and start planning your next trip. Remember, you can always redeem your UA miles for Air Canada's flights, and the related taxes/fees are usually lower than the Aeroplan tickets for the same flight. I tried it myself, and eligible for a bonus of up to 85% bonus miles on my purchase. 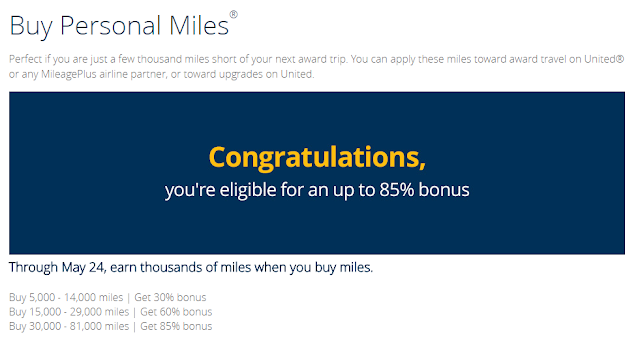 Hope you can get 100% more bonus miles.